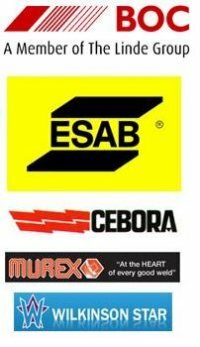 We are approved distributors for ESAB/Murex, BOC and Cebora. Amongst our consumables and equipment we have gauges, MMA inverters, mig wires, tig and gas filler rods, MMA (arc) rods, PPE and much, much more. We are BOC Gas agents for all account industrial gases. Through BOC a wide range of gases are available for commercial use. For welding supplies in Scarborough and information on all our other services please do not hesitate to contact us and we will be happy to help you with all your requirements.